The classic story of the red-headed orphan who finds a family at last and grows up to be a teacher is revised and edited to modernize the language and make the story more readable for the modern reader. Lucy Maud Montgomery, born in Canada in November 30, 1874, is best known for her series of novels about Anne Shirley, the orphan girl adopted by Matthew and Marilla Cuthbert. She continued the story of Anne through many sequels. Montgomery's life paralleled some aspects of Anne's life. She lost her mother when she was a baby, and her father allowed her grandparents to raise her. She went to college, became a teacher, got married, and wrote her stories. 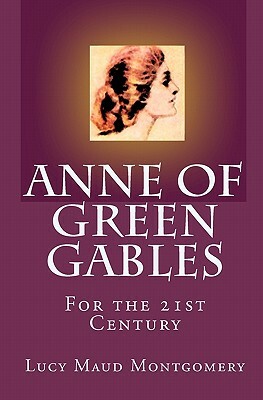 Anne of Green Gables, the first of the series, was published in 1908. Montgomery died April 24, 1942.